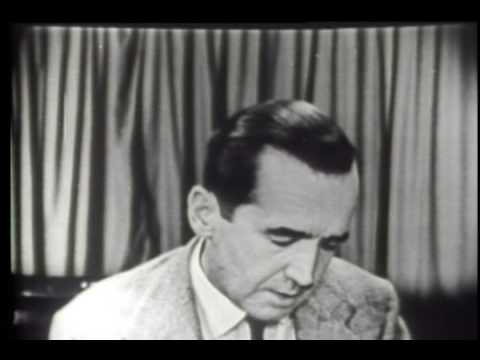 What could be more perfect than veteran broadcast journalist Bob Edwards writing about the legendary Edward R. Murrow? Yup, you’ve got it: Bob Edwards reading aloud his book about Edward R. Murrow. For years, I drove to work each morning with the soothing voice of Bob Edwards telling me the news of the day. So to hear his voice reading this great biography… this was very good. Edwards describes Murrow as the father of broadcast journalism; Murrow set the standard. I went into this book knowing that Murrow had become famous as a war correspondent in London, broadcasting from amidst the Blitz. And I knew about the McCarthy encounters from the movie Good Night, and Good Luck. But that’s about all I could tell you about Murrow. In addition to Edwards’ fine narration, the thing that makes this book excellent as an audiobook is that it includes excerpts, in Murrow’s own voice, from some of his broadcasts. Murrow’s Peabody-winning report about riding along on a bombing mission over Germany is so good I can’t find the words to describe it. We hear Murrow’s broadcast, and then Edwards, in very few words, explains why it’s so powerful. And it’s the kind of thing that doesn’t require a huge time commitment; it’s only 4 ½ hours long. Despite its brevity, this thing packs a punch. This entry was posted in Biography, Journalists, Nonfiction, Unruly Reader. Bookmark the permalink. True! It's a good one. Stephanie — You teach journalism? I salute you!